Add Gristedes to your favorites! Weekly Ad Gristedes In-store Expires today! Albertsons is a chain of grocery stores based out of Idaho. Albertsons is a chain of grocery stores all over North America but based in Boise, Idaho. Their slogan promises, "You're in for something fresh." The stores might operate under a slightly differnet name depending on where you're located. For instance, they're called Acme in Alaska, Jewel-Osco in Illinois, Iowa, and Indiana, and Safeway all over the country. There are also lots of Albertsons, of course! The stores include a variety of items, so you can get all your shopping done here. They also have several store brands, which offer products similar to name-brand ones but at lower prices. 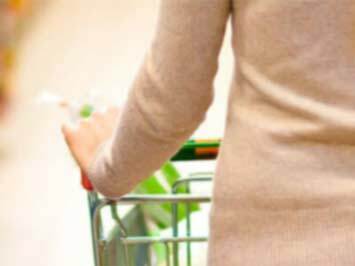 If you're looking to save even more money, add Albertsons to your favorite stores right here on Tiendeo so we can alert you when there are greats deals and Albertsons coupons. You can also visit their official website, www.albertsons.com, where you can view their weekly ad and check out special deals in your area. Albertsons actually was started by a man named Albertson! Joe Albertson, to be exact. He opened up his store in 1939 in Boise, Idaho, which quickly gained a great reputation for having all the latest perks, from free parking to an ice cream store. Albertson put all his profits right back into expanding his business, and expand it has. Today, there are over 2,200 Albertsons locations across the United States! When Joe Albertson opened up his very first grocery store back in 1939, he added a lot of special perks so as to draw in more customers. It worked, and the idea is still working well today! Things have changed a bit since the 1930s though, so it's no surprise that the perks have too. For instance, lots of the locations now have banks and pharmacies included. The newer stores that have enough space have things like a Starbcuks coffee counter, pizza made in-store, juice and salad bars, and a wide range of prepared foods ready to take home and eat. They've also tested a 'Shop N'Scan" system that lets shoppers check out as they add things to their basket so they can pay before leaving the store. It's been removed from some stores recently. One option that has stuck around is the option to shop online and pick up your groceries in store or have them delivered to you.